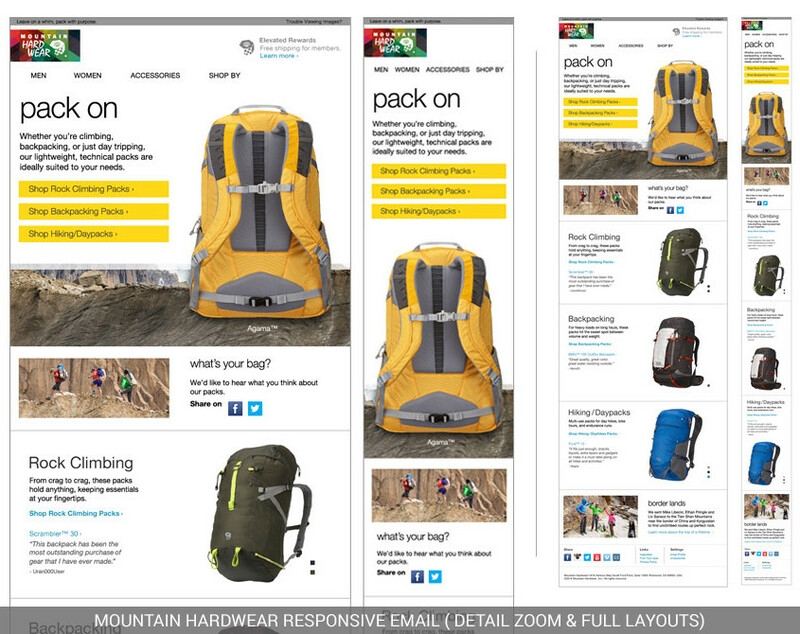 Columbia wanted an email campaign to help promote the new Mountain Hardwear spring backpack line. My job was to create the responsive email for both desktop and mobile users. Design. I designed the responsive email using existing imagery. The team was happy with the design, and the email launched as planned.